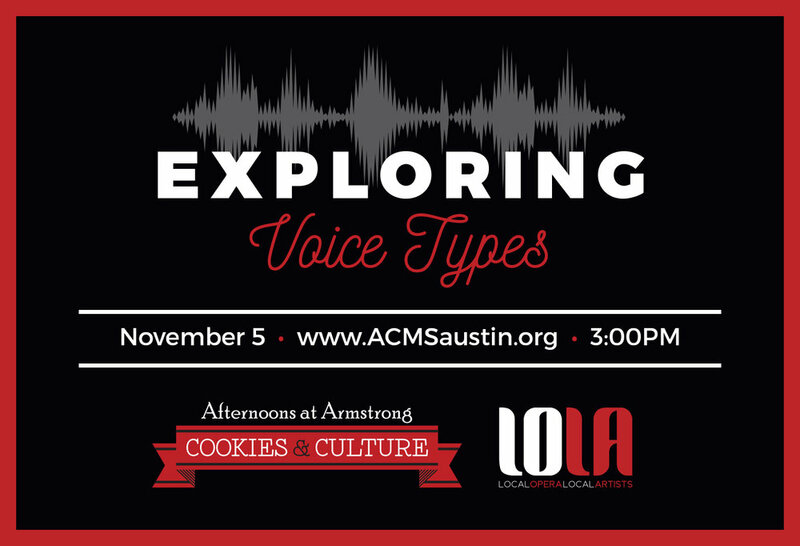 There are a lot more voice types out there than you might think. Join Liz Cassand artists representing LOLA Local Opera Local Artists: Julia Snyder-Taylor, Matt Edwardsen, and Graham Yates in an exploration of the operatic voice, the history of voice types, and development of the "fach system". This hour long presentation includes a lecture with recorded examples and live examples of the operatic voice. Space is limited to 40 guests for these intimate events and tickets are just $20 which includes all of this great art plus cookies of course!